Next step is to understand what do I do to get music out of it!!! It cost me 4 k and its a gb&a..Got it from Premsons (one of the oldest stores in Bangalore) near Ulsoor lake. 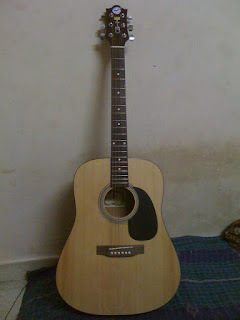 Too bad for me though am not much of a guitar-knowledge person, so Angad from Premsons helped me out lots in knowing more about these stringed beauties. 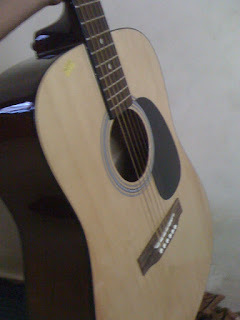 Definitely recommended for all music-instruments-wannabe-buyers!! !